There is no record of the presence of an alien species known as ‘The Silents’ on Earth. UNIT has never engaged hostiles capable of editing themselves from observers’ memories. 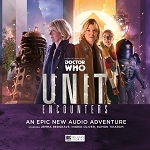 Kate Stewart and her team are in no mortal danger. How can they be, when they don’t even know the enemy exists? 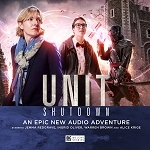 It’s business as usual at UNIT, and thankfully, Kate Stewart has no immediate threats to concern her. Or so she believes. But when Sam Bishop returns from leave, he notices things aren’t quite as they seem. Soon he and Osgood are on the trail of an elusive enemy. Kenneth LeBlanc looks set to lead his party to national victory, overturning political opinion and taking the polls by storm. 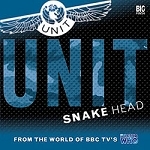 UNIT can only stand and watch as a silent revolution takes place. But who are LeBlanc’s real backers? And what use to them is the triumph of a leader who seems to be nothing more than a liability? The Silents are about to make the headlines. When Sam Bishop and Osgood visit an orbiting space station for a routine mission, they have no idea that they are part of an alien scheme, years in the planning. 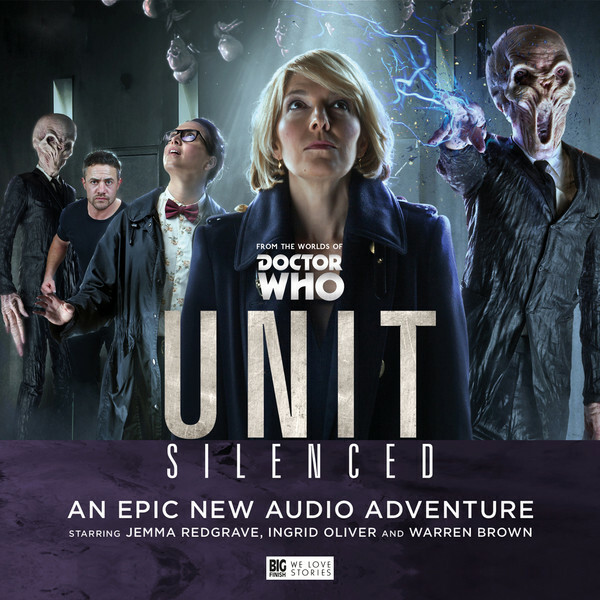 The Silents are not done with humanity yet – and they will have their revenge. 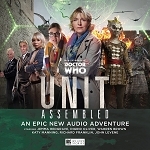 Jemma Redgrave (Kate Stewart), Ingrid Oliver (Petronella Osgood), Warren Brown (Lieutenant Sam Bishop), James Joyce (Captain Josh Carter), Ramon Tikaram (Colonel Shindi), Tracy Wiles (Jacqui McGee), Joanna Wake (Miss Faversham), Nicholas Day (Kenneth LeBlanc/Heston), Tom Alexander (Cecil/Derek), Aaron Neil (Homeless Man/News Reporter/David), Nimmy March (Baroness Vance/Telokni), John Banks (Mission Control/Captain/Soldier) and Nicholas Briggs as The Silence. Other parts played by members of the cast.